Being in a depressed mood most of the time. Significantly diminished pleasure or interest in activities once enjoyed. Changes in appetite — weight loss or weight gain unrelated to dieting. Trouble sleeping, or sleeping too much. Fatigue or a lack of energy most of the time. Increase in purposeless activity (pacing, hand-wringing) or slowed movements or speech (observable by others). Difficulty thinking or concentrating, or the inability to make a decision. Preoccupied with death (beyond the normal fear of death), with frequent thoughts of suicide (with or without a specific plan), suicide attempts or planning suicide. However, cannabis consumers who tracked their data reported increased symptoms of depression over time, even if reporting relief of depressive symptoms previously. 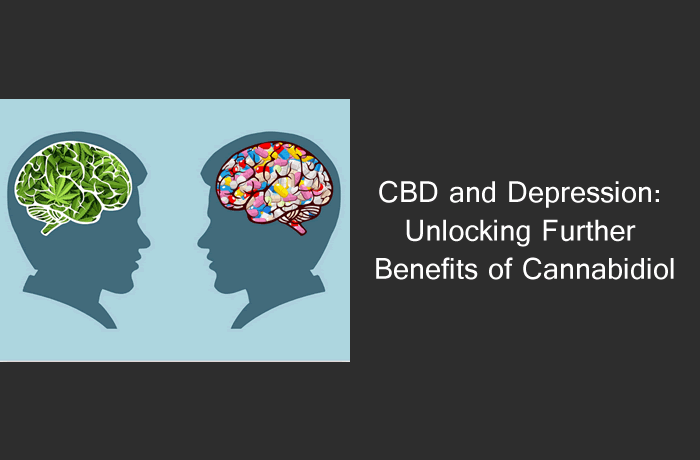 The study used self-defined expressions of depression rather than the criteria set forth by The Diagnostic and Statistical Manual of Mental Disorders, and the study did not control for cannabis consumers who were receiving antidepressants or other treatment for epression.